John C. Wyman, 89, died July 5, 2018, at Trinity Regional Medical Center. Memor­ial visitation will be held Mon­day, July 9 2018, from 4 – 6 p.m. at the Tomp­kins’s Celebration Center of Friendship Haven. Memorial Service will be held 11:00 a.m. Tuesday at Grace Lutheran Church. Interment of his cremated remains will be held in Lakeside Cemetery, Hastings, MN, at a later date. John Charles Wyman, the son of George and Ingrid (Wassgren) Wyman was born on January 2, 1929 in Waseca, MN. 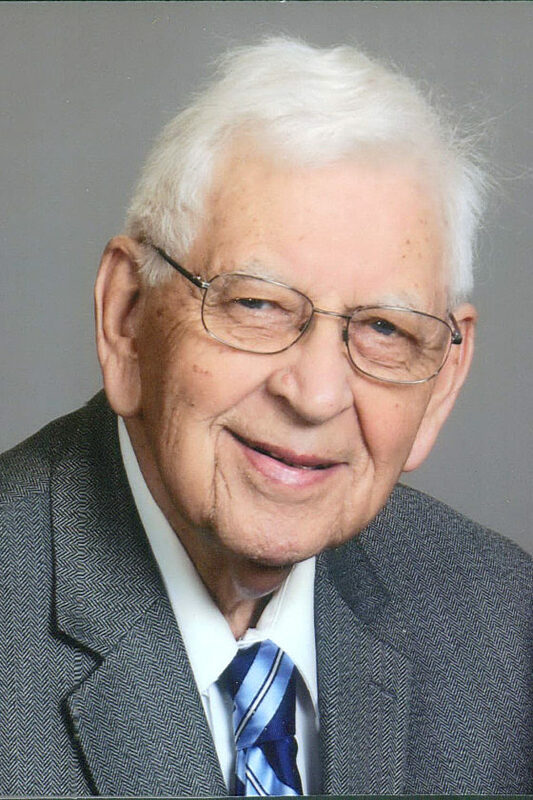 He graduated Waseca High School in 1947 and attended the Minnesota School of Business for two years. In 1949, John went to work with Northwest Orient Airlines, working on the Stratocruisers as a flight attendant. During the Korean War, he was promoted to a ‘Purser’ transferring R&R and wounded soldiers from Tokyo to other cities like Manila and Seoul. John was then drafted into the United States Army and was discharged in February of 1953 as a Sergeant. On July 19, 1952 John was united in marriage to Marian Gillitt. He graduated with a business degree from the University of Minnesota in 1956. In his later years, John worked at Land O’ Lakes in Fort Dodge and later for Smithway, retiring in 1992. John and Marian spent 14 great winters in Arizona. John was a member of the Airstream Trailer Club, attending International rallies where he served as president twice for the local club. John also served as president of the Fort Dodge Symphony Orchestra and Kiwanis Golden K Club, as well as many other service clubs. John’s family was very important to him and he loved memories made camping together. Survivors include daughters Karyl (Kevin) Engel of Le Center, MN and Suzanne (Russell) Williamson of Fort Dodge; grandchildren Christopher (Melissa), Katherine, Andrew (Ashley) Engel, Scott Williamson; great-grandchildren Taylor and Brady Engel and one sister, Kay Lyford. John is preceded in death by his parents and loving wife of 65 years, Marian Wyman.